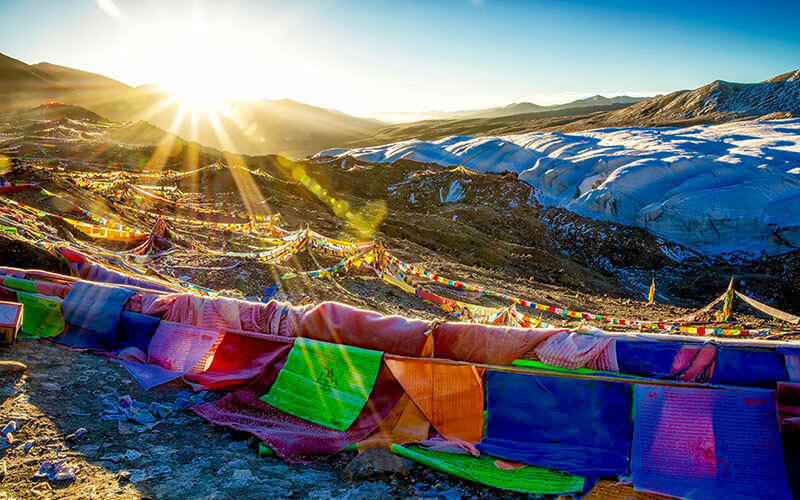 Kailash Manasarovar via Fly in Lhasa & Drive out Kerung is a highly favoured route for the pilgrims who want to have the darshan of holy Mount Kailash. This expedition flags off from Kathmandu while experiencing the exploration of the varied spiritual hubs of Kathmandu i.e. the Pashupatinath Temple as well as the Bodh Nath stupa. Apart from that, on mentioning about the Trans Himalayan Flight, you shall be flying over the gigantic mountains having some scenic glimpses of the heartthrob views. 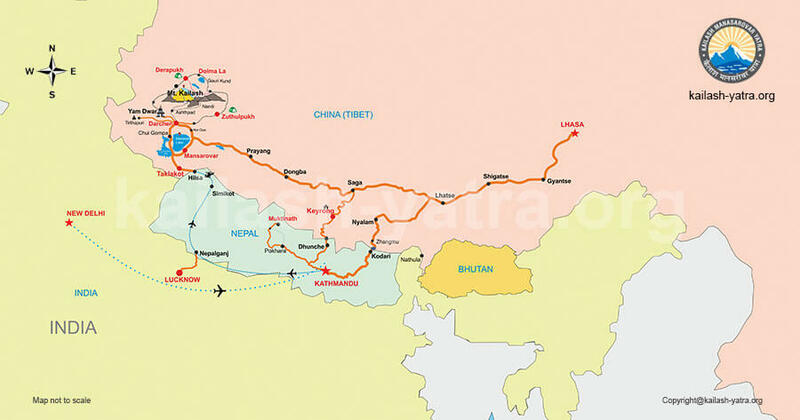 This route is the most comfortable one and thus, you can experience it through Kailash Manasarovar via Fly in Lhasa & Drive out Kerung. Arrival at Kathmandu’s Tribhuvan International Airport where you will be welcomed and greeted by our Tour representatives and from there, he/she shall provide you an assisted transfer to your pre-booked hotel (4 stars or equivalent) for staying overnight on twin/triple sharing basis. Have breakfast at your hotel and then experience the scenic views of Kathmandu. You will be visiting the two most important temples Pashupatinath Temple and Bodh Nath Stupa, after which you will return to the hotel for group briefing and final preparation of yatra. Drive to airport for flight to Lhasa city. After having appetizing breakfast at your hotel, you will be taken to airport for your flight to Lhasa. You will be arriving at Gonggar airport, transfer to Lhasa city. Visit Jokhang temple and The Norbulinka Palace. 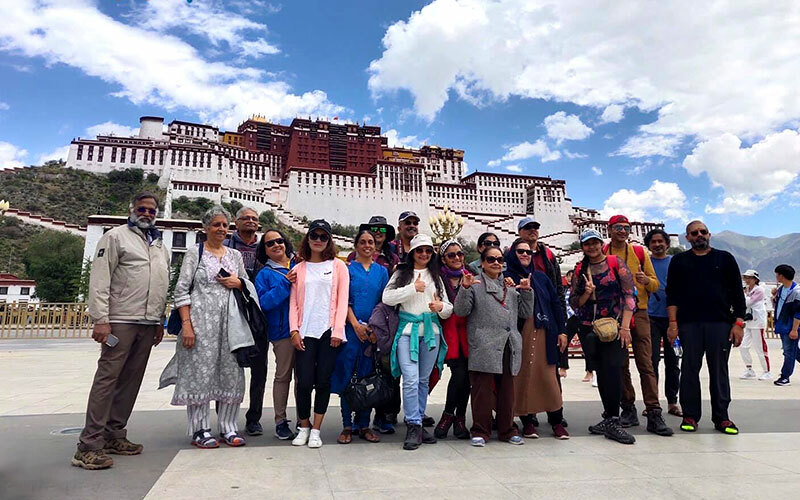 Wake up and have some tasty breakfast, once done head towards the exploration of the spiritual Jokhang Temple, Barkhor Bazaar, Sera Monastery and also the Norbulinka Palace. Once done, return to your 4-star rated hotel and stay overnight there. 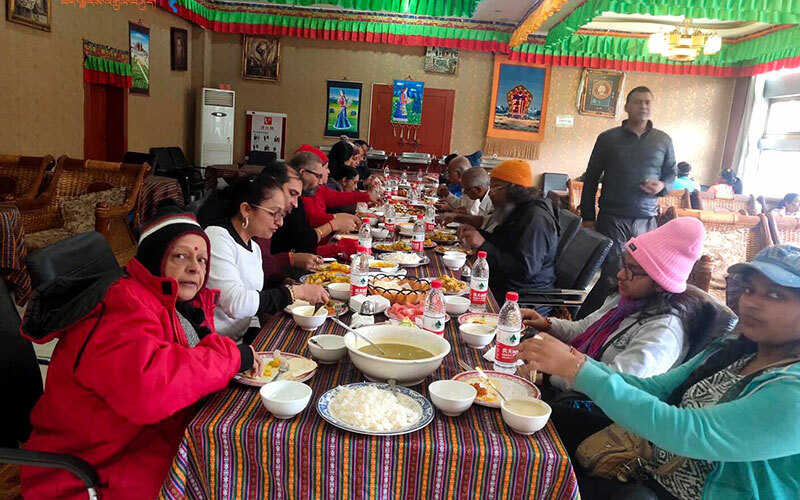 Once done with the breakfast at your hotel, it’s the time for you to be a part of an 8 hours’ scenic drive to Shigatse while covering a distance of 271 kms that shall ultimately lead to the beautiful Tashillunpo Monastery. Once done, if the time permits you can stroll in the local markets there. Later, return to your pre-booked hotel for an overnight stay. Today, you will be starting a 447 kms of drive in order to reach Saga. On reaching there, stay in a two-star accommodation at Saga for overnight. 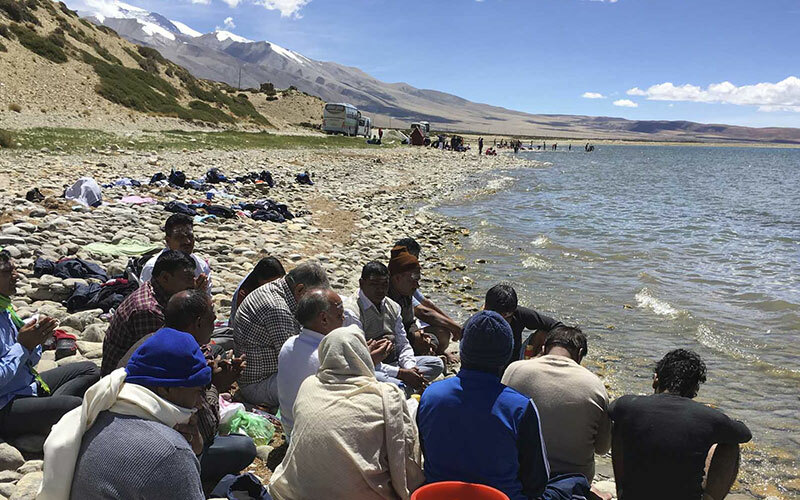 Today morning, drive for 9 hours towards the holy Lake Manasarovar and then as soon as you will reach this Lake, you shall be changing your vehicle that is going to facilitate you with the Parikrama of Lake Manasarovar and it will be completed in 2 hours. Wake up as per your comfort and then you are free to be a part of the Puja and Havan on the banks of Lake Manasarovar. Apart from that, you can also take holy dips in the pristine water of this lake. Once done, start your drive towards Darchen in evening. On your arrival at Darchen, stay overnight at the Kailash Himalaya Hotel or similar (depending upon the availability). Have some breakfast and then you will be driven to the starting point of the fascinating trek to Dirapuk. Reach the designated stop and then, start your trek of 12 kms for a period of approx. 5-6 hours. On your arrival at Dirapuk, you will be staying in Hotel Dirapuk. Wake up early morning and then start your trek towards Zuthulpukh while passing through the Dolma La Pass. This is known as the toughest trek amongst others since firstly, you will be climbing up and then take a gradual ascend till Gauri Kund and from there you shall walk on flat surface. Finally, arrive at Zuthulpukh and then, stay overnight at your accommodation there. 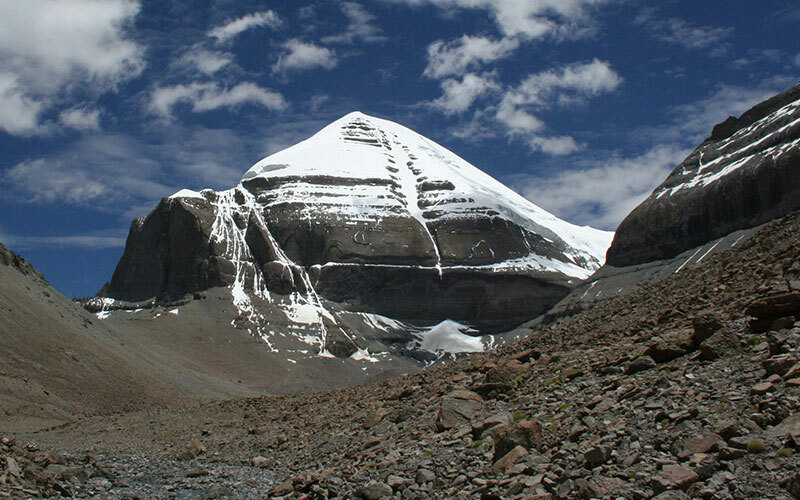 Today marks the end of the ultimate Kailash outer Kora and then you will be driven towards Saga. Reach Saga and then stay overnight at Saga Western Post or similar. Wake up, have some breakfast and then start your drive towards Kerung that would be of 6-7 hours. Arrive at Kerung and stay overnight at your pre-booked accommodation there. Today morning, start your drive towards Nepal Border. Complete all the immigration formalities there and once done, take an exit while passing through Syabrubesi and finally head towards Kathmandu. Wake up morning, have some breakfast and then you will be escorted to Kathmandu’s International Airport for flying back home/onward destination and here your journey comes to an end. Joining trip with fixed departure dates. Minimum group strength 17 person. Arrival/Departure Transfers by ac coach. Kathmandu /Lhasa air fare by Sichuan airlines or air china.